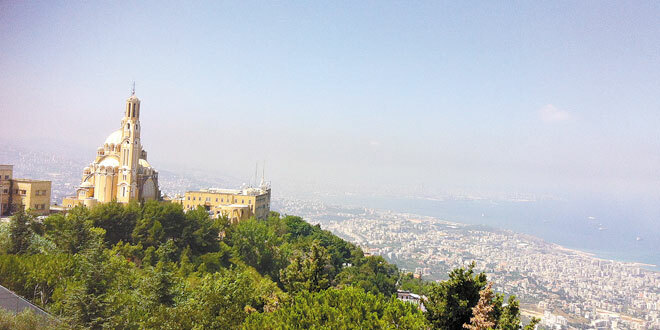 Holy ground: The view from the Basilica of Our Lady of Lebanon which takes in the Greek Catholic Basilica of St Paul. Dominican Deacon Br Thomas Azzi has just returned from a trip to his land of birth, Lebanon. 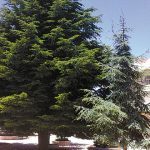 He writes about the beauty and history of the land of cedars. IF your definition of the Holy Land incorporates all those places where Jesus travelled on his preaching journeys, then Lebanon will most certainly have to be included. Lebanon’s rich and diverse geographical, cultural, social and religious landscape means that there will be something for everyone in this tiny nation whose population is no larger than that of Queensland. Home to the ancient Phoenician civilisation which gave the world the alphabet, Lebanon occupied a crucial position along the Mediterranean. Its strategic ‘East meets West’ position is still evident today as one walks through the streets of Beirut where churches and mosques are within walking distance of Armani outlets. Lebanon’s diminutive size enables you to travel easily from the beaches of the capital Beirut to the famed mountains of Lebanon, which rise steeply and run parallel to the Mediterranean coast. Once known as the Paris of the Middle East, Lebanon has tried hard to regain this title following the devastation of the fifteen-year civil war. Beirut’s premier strip of road is the Avenue de Paris, which majestically runs alongside the Mediterranean coast. Be sure to stop over and have a look at the Raouché Rocks which protrude from the sea as great sentinels guarding the shore from foreign invaders. Ascending from the coast to the peak of the mountains, one’s spirit is drawn heavenward as you approach the traditional places where the Christians of Lebanon have historically chosen to reside. 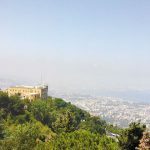 Perhaps, the most prominent shrine for the pilgrim is the famed Basilica and Statue of Our Lady of Lebanon in Harissa, a mountain village located 20 km north of Beirut. One can ascend to this shrine either by road or by a nine-minute gondola journey. The French-made statute has an overall height of 20 metres which includes a circling pathway which rises to the statue of Our Lady who is depicted with her arms outstretched overlooking the coast. The papal embassy as well as the residences of four Eastern Catholic patriarchs may be found in the vicinity of the shrine. Both Pope John Paul II and Pope Benedict XVI visited the shrine during their respective pontificates. Not too far from Harissa is the famed Jeita Grotto, a system of two limestone caves spanning an overall length of nearly 9kms. The crystallised rock formations within these caves have led many to describe Jeita as a cathedral built by nature over the course of millions of years. Continuing north, you will arrive at Byblos. Believed to be the oldest continuously inhabited city in the world, it carries the remains of ancient Phoenician temples and Crusader forts and has been listed as a UNESCO World Heritage Site. Continuing along these mountains of the northern parts of Lebanon, you will arrive at hallowed ground for Maronite Catholics who comprise the predominant Catholic group in Lebanon. 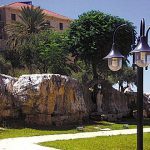 Here, high up in the open air and away from the noise and traffic of busy Beirut, are the shrines of three Lebanese saints – St Charbel, St Rafqa and St Neemtallah – who were canonised over the course of the past 40 years by Popes Paul VI and John Paul II. Visiting the places where these saints lived and died, one’s spirit is lifted up to the heights of spiritual experience as one hears the silent voice of God whispering in the serenity of the mountains. From the heights of the mountains to the depths of the valleys, the Lebanese have also sought to encounter the divine in the long, deep Qadisha Valley of northern Lebanon. Here, evidence of monastic communities, often fleeing persecution, has been found since the earliest years of Christianity. For this reason, it is also on the list of World Heritage sites. The Valley is near the Forest of the Cedars of God which contains cedars dating back to the ancient world when they were used by the Phoenicians and Egyptians for shipbuilding as well as by the Israelites under King Solomon to construct the first Temple in Jerusalem. Moving from the North to the South of Lebanon, the country’s sectarian demography becomes readily apparent with Muslim majorities in the southern coastal cities of Tyre and Sidon. Yet, these places carry great historical significance for Christians. Jesus traveled to this region where he healed the daughter of the Syro-phonecian woman. This was the same area where God sent Elijah to comfort the widow. Paul, returning to Palestine from his third missionary journey, sailed into Tyre where he met with a group of disciples. If you are after a faith-filled pilgrimage that will also give you an insight into Mediterranean history, culture and cuisine, then look no further than Lebanon. Rev Br Azzi is a deacon of the Dominican Order. He was ordained to the transitional diaconate earlier this year. He moved from Lebanon to Sydney when he was ready to start primary school. 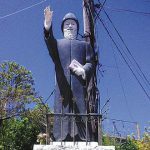 Heroic figure: One of many statues of St Charbel found along the roads of the mountains. 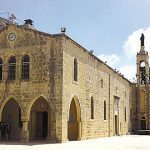 World heritage sites: The Monastery of St Maroun where cedars guard the tomb of St Charbel. Sacred place: The Church of Our Lady of the Hill, built on the ruins of a Phoenician temple. Holy place: If you are after a faith-filled pilgrimage that will also give you an insight into Mediterranean history, culture and cuisine, then look no further than Lebanon.